Some restaurants have a lot of spirits. I mean that literally. 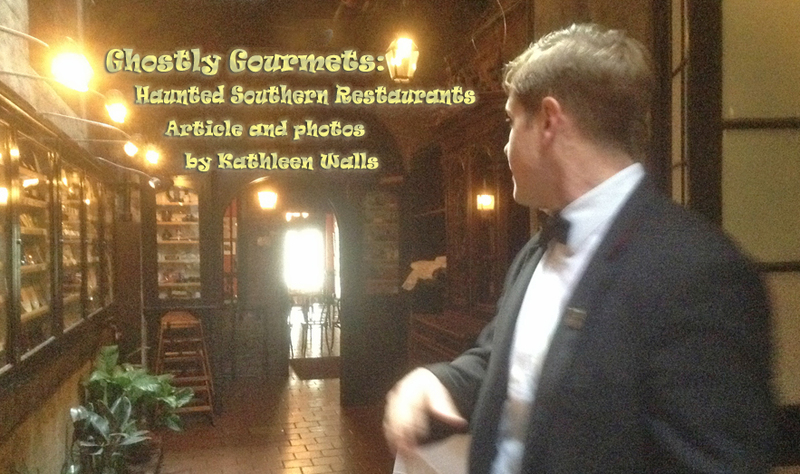 A few of the restaurants I visited have their very own ghostly gourmets still wandering the kitchens and dining rooms. Because of the great food I have written about many of these places in earlier issues so you can learn even more by visiting the accompanying links. Poogan's Porch in Charleston has the spirit of a little white West Highland Terrier named Poogan on their porch. Poogan's Porch is now in its second generation under the leadership of the Ball son, Brad, but Poogan is still hanging around. Chef Daniel Doyle, who has been invited twice so far to cook at the Prestigious James Beard House, lures customers with his spectacular low county and Southern style cooking. My favorite dish there is the She Crab Soup but it's hard to go wrong with anything on the menu. 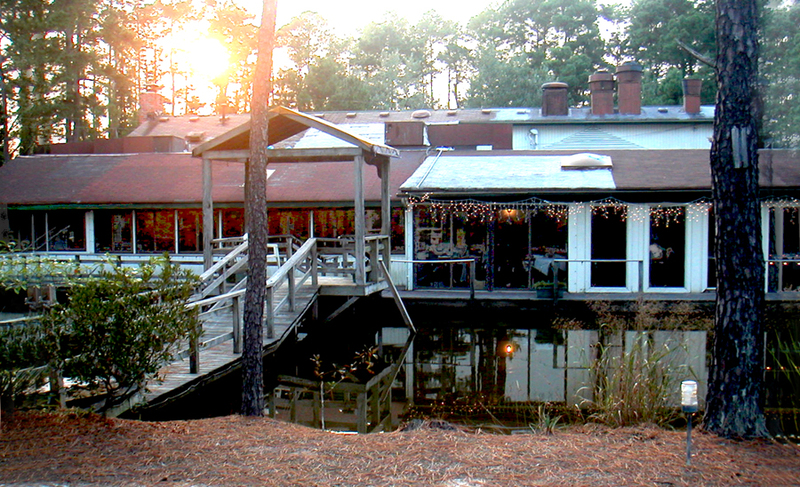 When I visited Blue Pete's, located about 20 minutes from Virginia Beach, I was not disappointed either in the food or in its ghost stories. Blue Pete's is named for the little duck-like bird, the American coot, locally known as "blue petes." The then owner, K. C. Knauer, told me that the place was very haunted. She and many of her staff had had some strange experiences over the years. While I enjoyed my Seafood Sampler composed of crab cakes, shrimp, scallops and flounder and sweet potato bread covered with orange marmalade, I could look out over the water and watch the wildlife. New owners, twin brothers Nicholas and Aristotle Cleanthes, bought Blue Pete's several years ago and have continued the tradition of great service and excellent local cuisine. For the rest of the Blue Pete story click here. Any restaurant that has survived 175 years in the same family is bound to have lots of interesting spirits still hanging around. Thomas, one of the Antoine's bartenders, told me some of the ghostly history. When asked if Antoine's is haunted, Thomas replied, "There's tons of ghosts. This place has so many secret entrances and exits, that you always see someone when the building was supposed to be empty." He noted one spirit who is often seen supervising what is going on is Antoine's wife who's portrait hangs in 1840 Room (Image above), used as a family gathering room when they dine here. Of the portrait itself, he commented, "It's fairly ghostly." I had to agree. Strangely none of the pictures I took of her portrait came out very good. Another New Orleans restaurant known to be inhabited by spirits is Court of Two Sisters. I sampled their Jazz Brunch several times and have to agree this place is first rate even in a city known for its over-the-top dining. I suggest visiting closer to or after the lunch hour for the Jazz Brunch. It runs until 2pm and is way too filling for just a breakfast. There are over 80 items on the buffet and you can order additional ones as well. 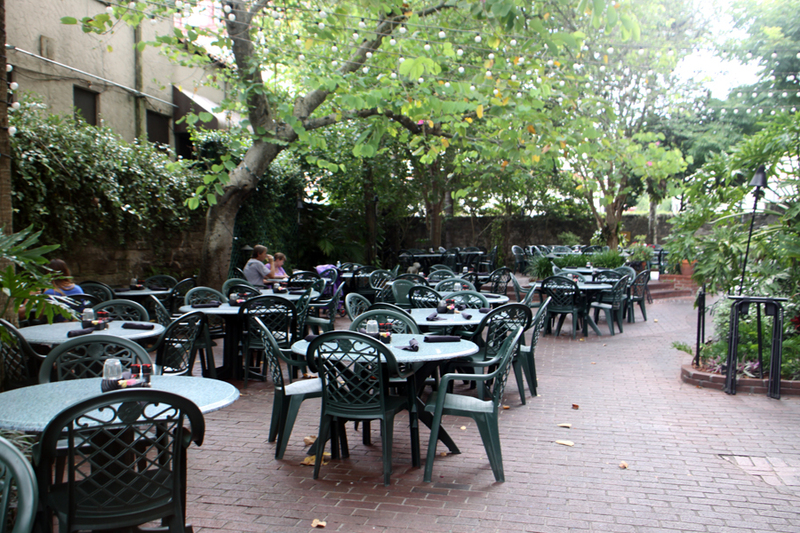 When weather permits I suggest dining in the courtyard. 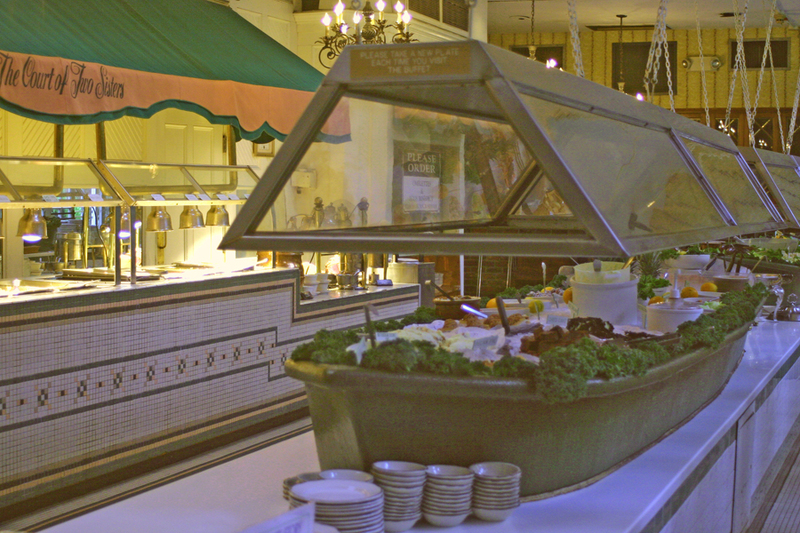 There are over 80 items, many unique to New Orleans cuisine, that fill the buffet boat. If this isn't enough, you can order specials such as their own version of Eggs Benedict that never fails to please. The quality and quantity of the food will guarantee you will linger for a leisurely meal but the icing on the cake is the trio of jazz musicians that add to the ambience. 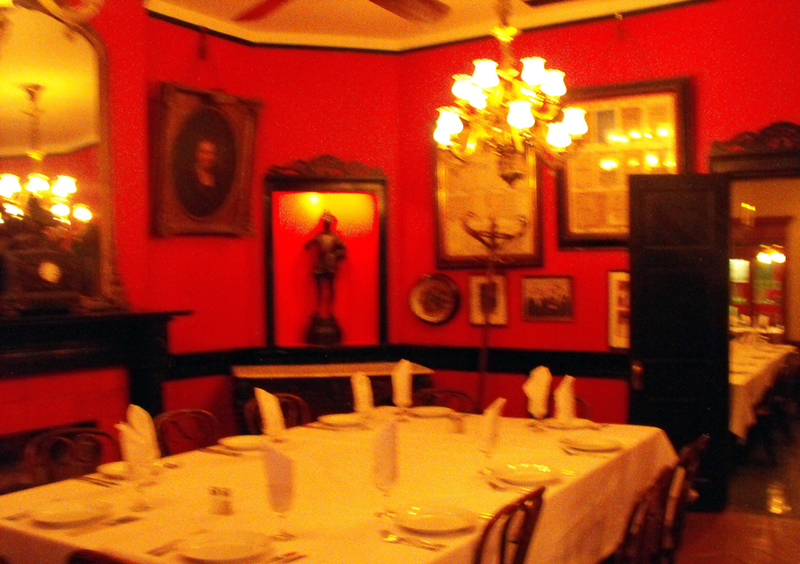 When you dine in New Orleans, you expect wonderful food, cosmopolitan atmosphere and great service but the Court of Two Sisters had something most restaurants don't have, its resident specters. When you step through the huge double doors leading to the largest restaurant courtyard in New Orleans it's easy to believe you has stepped back to the late 1800s and were visiting the home and notions shop of two aristocratic Creole sisters, Emma and Bertha Camors. Emma and Bertha would not be separated in life and remain together in death as well. Born two years apart in 1858 and 1860 respectively, they remained united all their life throughout marriages, widowhood and the reversals of fortune that caused them to open their popular notions shop. It appears they refuse to let death separate them either. They died within two months of one another in the winter of 1944 and are buried in St. Louis Cemetery number 3. However, they are often seen in their former notions shop AKA Court of Two Sisters naturally, they are sharing a table. For more about the Court of Two Sisters click here. 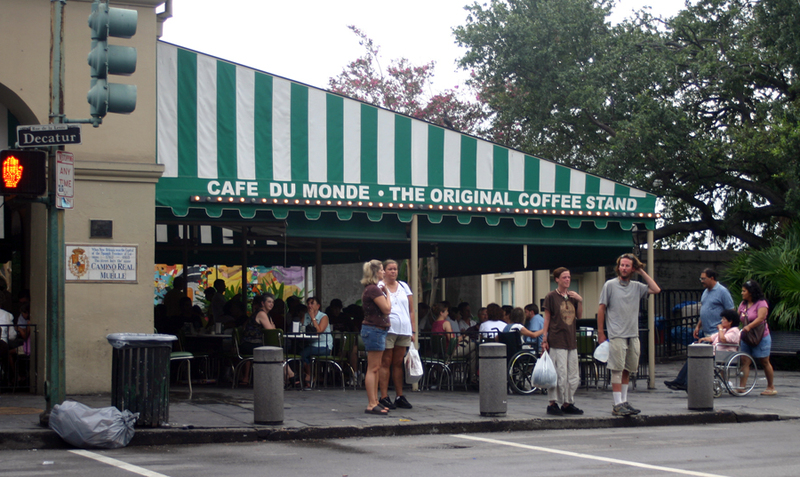 As a girl, one of my favorite haunts in the French Quarter was Cafe du Monde in the French Market. I loved to order the hot beignets covered with powdered sugar and, as I am one of the only people from New Orleans who doesn't drink coffee, chocolate milk or hot chocolate. My friends and I would laughingly blow across the beignets to spray our comrades with the sugar. The real fun was if someone was unwise enough to wear a dark color. The sugar would really stand out then. We would sit and stare at Jackson Square and make up stories about the passersby. Perhaps that artist lugging his easel and paints towards the Square would one day be a famous artist. Maybe that odd-looking woman with the turban was a distant relative of Marie Laveau. Nowhere else on earth offers such rich people-watching as New Orleans' French Quarter and the Cafe du Monte lets you savor a unique treat while you do so. For coffee drinkers, beware, New Orleans is known for its coffee and chicory. The brew is strong enough to dissolve a spoon if you leave it in too long. The beignets are light airy square donuts that can be consumed by the dozens if you let yourself. The coffee shop stays open 24 hours a day 7 days a week. It does close for Christmas and very close hurricane encounters. It opened in 1862 so it is steeped in history and its walls ooze tales of past grandeur and ghost stories. One favorite is of the Ghost Waiter who takes your order and then never returns. Personally, I often wonder if it is a handy excuse for a waiter who forgot to turn the order in but go and find out for yourself. With or without the ghost, the Cafe du Monde is a tasty treat. 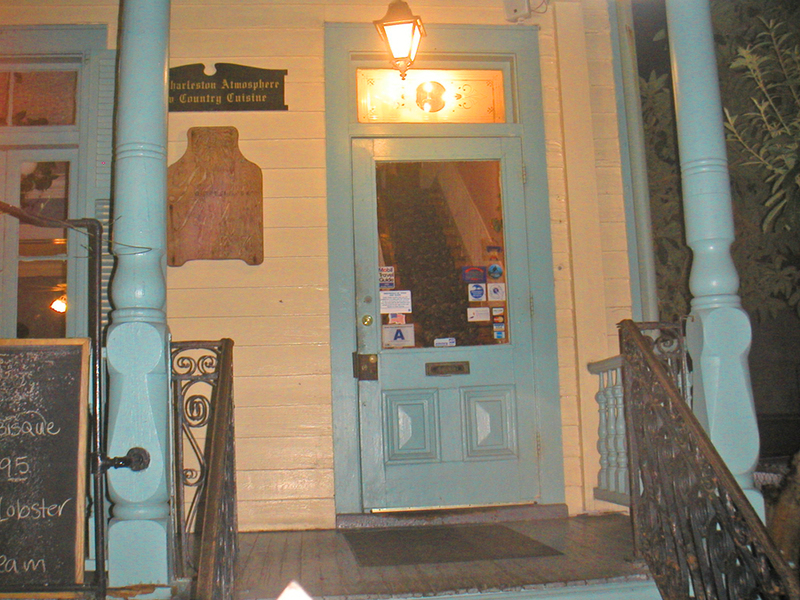 Another old city filled with ghostly adventures is Saint Augustine, Florida. Harry's Seafood Bar and Grill on the Saint Augustine bayfront has a unique history. The home was built in 1750, and was the dwelling place of the DePorres family. There were nine children in the family and the youngest was a fiery beauty named Catalina. When the colony was ceded to England the DePorres family departed for Cuba where Catalina grew to womanhood and married but she always yearned for her childhood home in Saint Augustine. 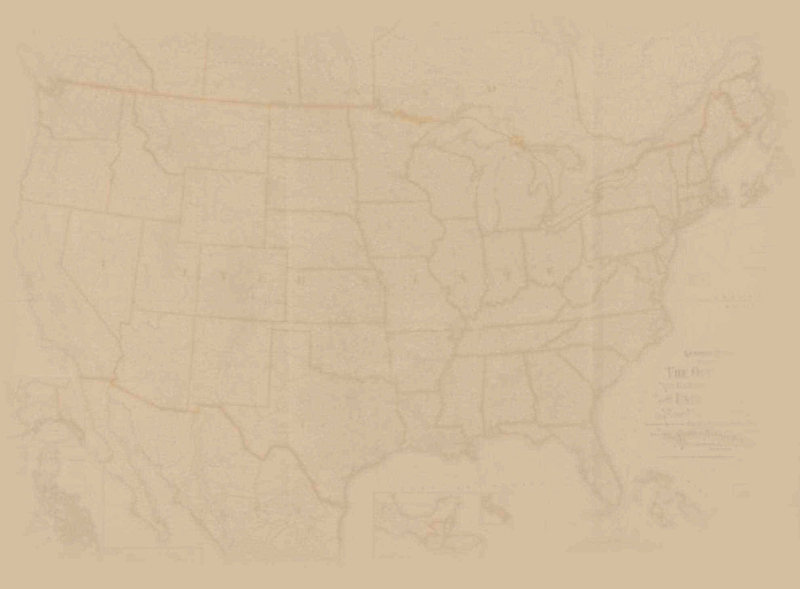 Finally the Spanish returned to Florida in 1783. Catalina persuaded her new husband and the new Spanish governor that the old DePorres home on 46 Avenida Menendez should be deeded back to her. Indeed, she felt so at home there she still resides on the property. The original home was burned in 1877 but Catalina must still have been working her will. It was rebuilt to resemble the original home. It has been a series of restaurants in modern times. Once it was named in her honor, Catalina's Gardens. Today it is Harry's Seafood Bar and Grill. But Catalina is still throwing her weight around. Bill Boyd, who was a manager at Harry's, recounted his experience. He was putting up curtains in the old part of the building. He felt as if someone was in the room but no one was there. After he got the curtains up, he turned to gather up the tools and leave. The curtains, rod and all, were yanked off the wall and tossed across the room. Perhaps Catalina did not like the color or style. Catalina seems to have been joined by a mysterious man in black. While Catalina is seen and felt most frequently in the upstairs part, the man dressed in black from head to foot and sporting an old-fashioned black hat is seen downstairs, often near the fireplace. He will stare at women diners. If they complain to the management, the man will disappear before the manager can arrive on the scene. Perhaps it is the man who caused the disturbance that another manager, Linda, experienced with the burglar alarm going off repeatedly. When the police arrived, no one was there and there was no sign of a break in. Finally, when they entered the building after one of the false alarms, she and police observed the lights above the bar swinging for no apparent reason. Aside from the ghostly history, Harry's is famous for its New Orleans style food. Their Po Boys are as close to authentic as you get outside of New Orleans. The decor is pure New Orleans complete with the courtyard. The bar is well stocked and can mix up anything you desire. Last visit I had the French Market Pasta. It is fantastic and I had such a generous serving I had enough left over for a very filling dinner that night. While visiting Perry, Georgia on a press trip, we were invited to eat at The Swanson. It's housed in a historic building in the heart of downtown. 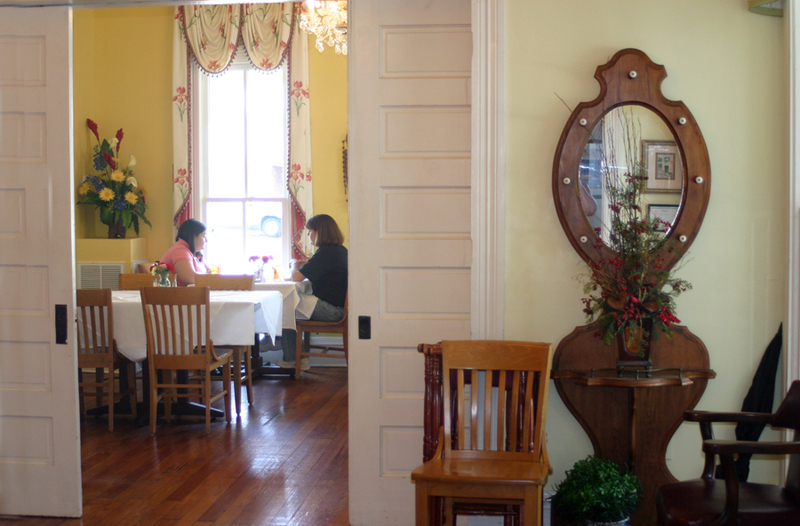 The restaurant shows its age with its pine floors, high ceilings, and tall wavy glass windows. Many folks here believe it still shelters the spirit of Norrine Swanson Jones, the daughter of the Swanson family who lived in the home from the 1920's until just before her death. I had a tasty Fried Green Tomatoes appetizer and some of the best fried chicken ever. For more about The Swanson click here.